The Patient-Centered Medical Home (PCMH) is a care delivery model whereby patient treatment is coordinated through their primary care doctor to ensure they receive the necessary care when and where they need it, in a manner they can understand. The patient-centered medical home recognition means your model of care emphasizes care coordination and communication to transform primary care into “what patients want it to be.” NCQA Patient-Centered Medical Home (PCMH) Recognition is the most widely adopted model for transforming primary care practices into medical homes. 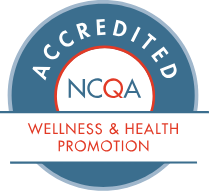 Union Community Health Center is recognized by NCQA as a PCMH Level 3, the highest level, providing the uppermost tier of quality health care services to vulnerable populations in the Bronx. PCMH recognition is a testament to Union Community Health Center’s commitment to providing high-quality, comprehensive care through care-coordination, a team-based model of care that focuses on population management capacity, continuous improvement of health Information Technology and implementing strategies that increase patient access. 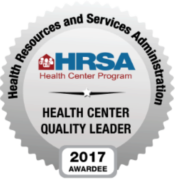 Having achieved the best overall clinical outcomes and demonstrating high-quality across clinical operations, in 2017 The Health Resources Services Administration (HRSA) recognized Union Community Health Center as a Health Center Quality Leader among the top 30% of all HRSA nationally-supported health centers.